"This six-wheeled H2 features a whole new exhaust system and comes equipped with a dozen lights to add extra glow to the front end of the car along with premium leather interiors, big TV screen and of course, liquor to stay in the partying mode. Needless to say, it will get you noticed." Oh boy. Hummers. What beasts. Previously, Artist Converts Hummer Into Horse-Drawn Stagecoach. I freaking hate Hummers, but I'd take an HMMWV any day (minus all of its ceaseless maintenance). 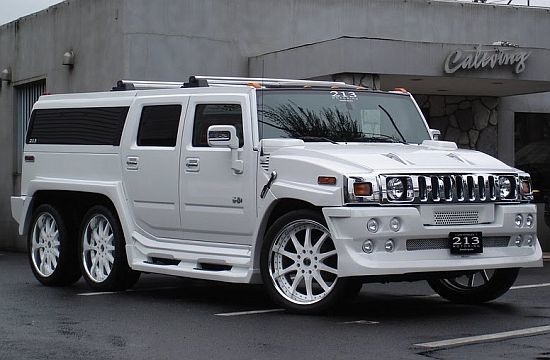 i dont see what the deal is with the new hummers. 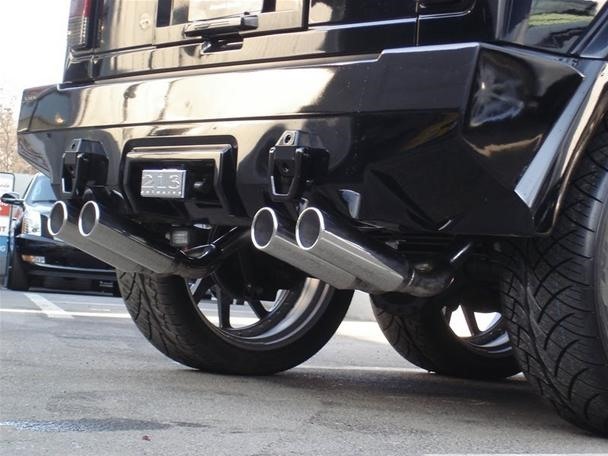 They have a very similar build to a suburban suv, and they're no big woop. 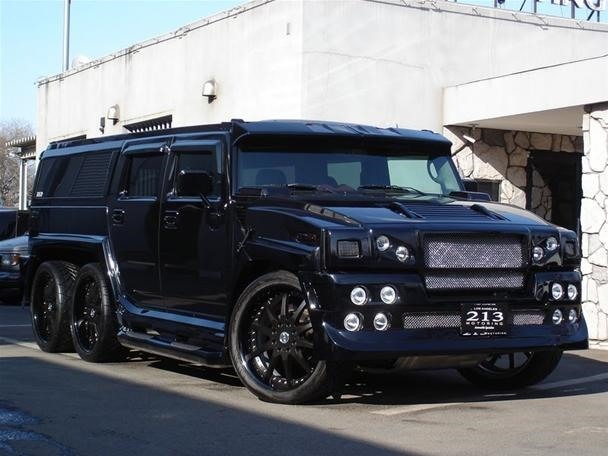 now if they make these out of the military grade hummers, hellz yeah. I love being an American...Throw a whopper dispenser in that pig and the deal is sealed!